Shreyas Iyer was the highest run-scorer in Ranji Trophy last year. Shreyas Iyer (Mumbai) - After being the highest run-scorer (1,321 runs in 11 matches) in the last season of Ranji Trophy, Iyer has somehow experienced a dip in form since then. The 21-year old right-hand batsman had a below par IPL and a mediocre tour of Australia with the India A team. Having scored 2,439 first-class runs in 27 matches, the Mumbaikar would want to get back on track as early as possible. Suryakumar Yadav (Mumbai) - This 26-year old right-hand batsman has been in the limelight for some of the years now. From being appointed as the captain of Mumbai to resigning from the job, he has not let the off-field issues make an impact his on-field performance. The vice-captain of Kolkata Knight Riders has scored 3,340 runs in 48 matches at an average of 46.38. Another fruitful year in the domestic circuit may well see him knocking the doors of the Indian team. Sudip Chatterjee (Bengal) - He became only the second batsman to score a century with a pink ball in the recently concluded Duleep Trophy. The 24-year old left-hand middle-order batsman has impressed one and all with both his technique and temperament. 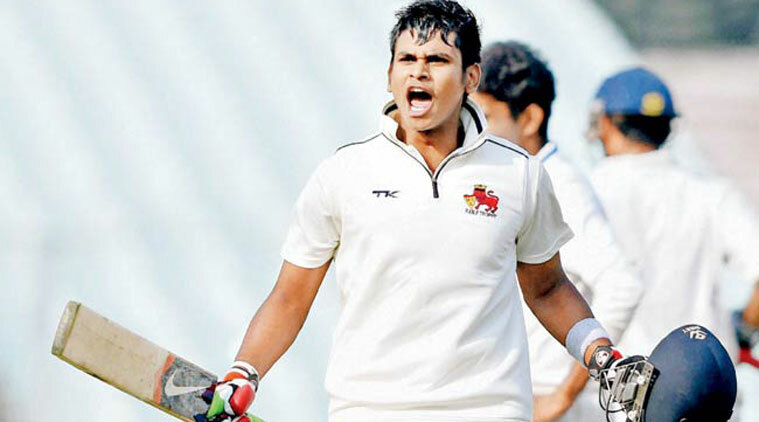 He amassed 735 runs in nine matches in the last season of Ranji Trophy at an average of 49. Sheldon Jackson (Saurashtra) - Having scored 368 runs in three matches of Duleep Trophy last month, Jackson is red hot when it comes to form. 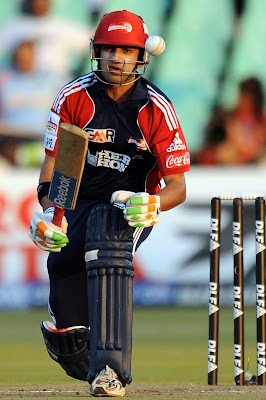 The 30-year old right-hand batsman has stockpiled 3,102 runs in 47 matches at an average of 54.42. If Saurashtra has to repeat the heroics of last year in the absence of Cheteshwar Pujara and Ravindra Jadeja (who will mostly be on national duty), he will be an essential cog in the wheel for them. Siddhesh Lad (Mumbai) - He might have failed in the Duleep Trophy this year, but a 99-ball century against the touring New Zealand team last month must have brought back the confidence. The 24-year old right-hand middle-order batsman has stamped his authority on the Indian domestic circuit in his three-year-old career. Paras Dogra (Himachal Pradesh) - Not many people might have heard of him, but this 31-year old right-hand batsman from Palampur has been scoring heavily over the years. In 87 first-class matches, he has 6,160 runs to his name. Having playing the Ranji Trophy for close to one and a half decade now, he has an average of 51.76 and a highest of 230*. He has also scored seven double-centuries in the Ranji Trophy, which is the joint-highest with Ajay Sharma. All his seven double-centuries have come in the past five seasons when no other batsmen managed to score more than three. Manan Vohra (Punjab) - It is appalling that someone with an amount of talent that he has, has in a way failed to convert it into a performance of the required level. The 23-year old right-hand opening batsman has been talked upon right from his U-19 days. His 748 runs have come at an average of 25.79 in 17 first-class matches. He would surely want to improve on the numbers in this season. Ian Dev Singh (Jammu & Kashmir) - The 27-year old right-hand middle-order batsman finished as the fifth-highest run-scorer in the Ranji Trophy last year. He scored 773 runs in eight matches at an average of 59.46. Ishan Kishan (Jharkhand) - The captain of India U-19 team in the ICC U-19 World Cup which was held earlier this year, 18-year old Kishan has already started to make a mark in the Indian domestic arena. His 69-ball 87 (which comprised of 4 fours and 8 sixes), in which he was severe on Ravindra Jadeja gained him praises from all over the nation last year. Jharkhand would be expecting him to come even better in this season. Armaan Jaffer (Mumbai) - Yet to make a first-class debut, 17-year old Jaffer was also a part of India U-19 earlier this year. He was on the radar of Mumbai selectors last year but could not make it into the playing eleven. He gained recognition after scoring 895 runs in five matches at an average of 223.75 in the Cooch Behar Trophy.